A contract is an agreement between two or more people which creates some type of obligation on the part of each party and confers a benefit on each party. 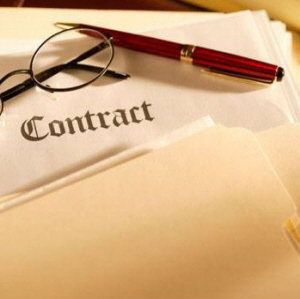 Do Contracts Have To Be In Writing In Order To Be Legal? Why Should I Prefer A Contract To Be In Writing? To preserve your ability to bring legal action if contractual obligations are not met. May I Cancel My Contract? There are certain situations when you may be able to cancel an agreement for a limited period of time after you have actually signed the contract. Instances in which you can cancel include: if you entered into the contract as a result of fraud or misrepresentation by the other party; if you were not legally competent to enter into the contract; or if both parties entered into the contract based on a mistake which is material to the agreement. How Can I Protect My Rights When I Am Asked To Sign A Contract? Never sign a contract with blank or open spaces. These should be filled in with the appropriate terms before you sign. You may negotiate over terms and cross out those terms you do not want included. Both parties should initial any changes to the contract on all copies. Make sure all ORAL promises are written into the contract before you sign. Do not be intimidated by sales people or accept a salesperson’s representations of what the agreement means, particularly the phrase “don’t worry – it’s standard.” Exercise your own independent judgment. 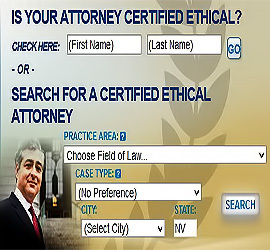 Do not assume that just because a form is pre-printed, it is safe to sign. Never sign a contract under pressure. Finally, remember that if something is important enough to sign, it is important enough to have a complete, accurate, signed copy of the contract. What Rights Do I Have If The Other Party Breaches The Contract? You may sue in Court and seek money damages. You may sue to rescind or cancel the contract and refuse to continue performing your contractual obligations. You may ask a Court for “specific performance” (request that the other party fulfill its obligations under the contract) if damages are not adequate. A warranty with regard to goods is a promise made by a seller as to the quality of the goods offered. Warranties give you important rights and should be considered before you make a purchase. You should attempt to get any warranties in writing. Are There Different Types Of Warranties? Yes. EXPRESS WARRANTIES are statements – either written, oral, or by demonstration – made by the seller concerning the quality or performance of the goods being sold. When the seller is a merchant, IMPLIED WARRANTIES exist by law even though they are unwritten, and even if no promise is made by the merchant. However, implied warranties may be modified or excluded by appropriate conspicuous language. What Should I Be Aware Of If A Merchant Gives Me A Written Warranty? A defective product will be fixed within a reasonable time and free of charge. The consumer will not have to do anything unreasonable to get the warranty served (such as shipping a refrigerator to the factory). If the item cannot be fixed after a reasonable number of attempts, the consumer is entitled to a refund or replacement. See generally 15 U.S.C. A7A7 2301 et seq., [Magnuson-Moss Warranty – Federal Trade Commission Improvement Act]; 16 C.F.R. A7A7 700-703. A “limited” warranty does not provide all of these promises, and the merchant can choose which ones to leave out.